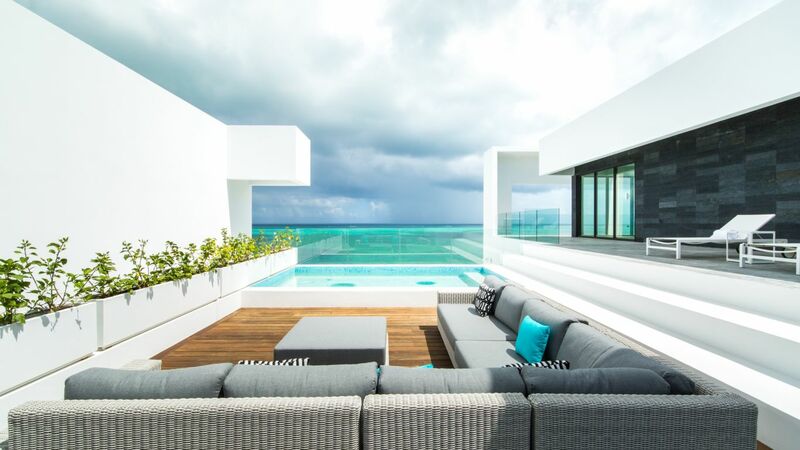 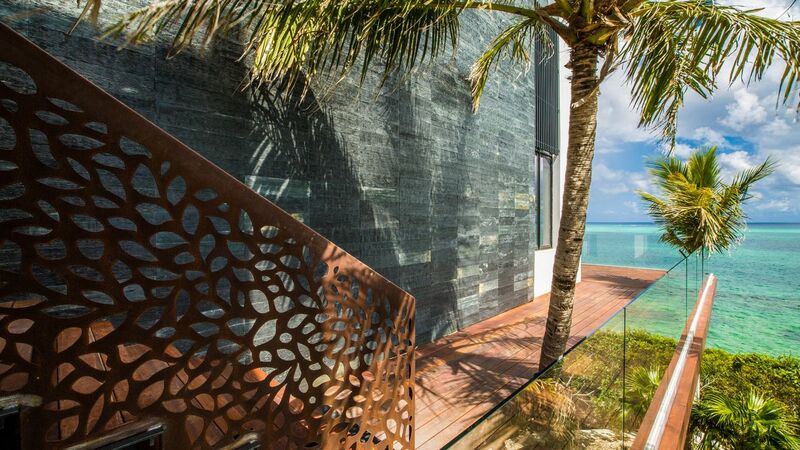 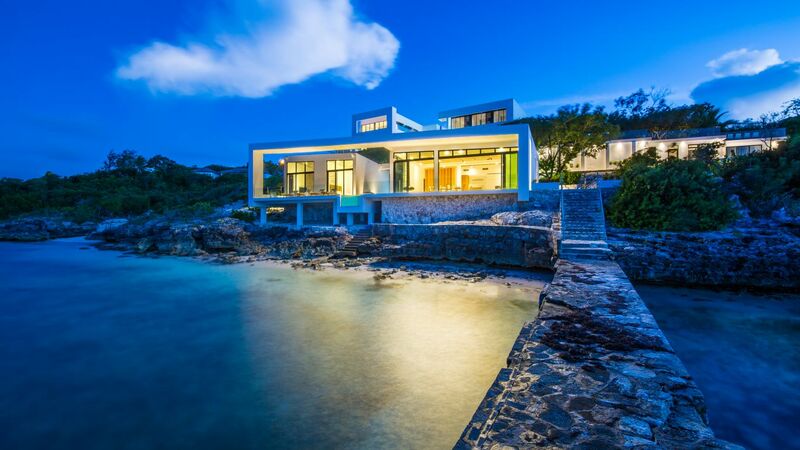 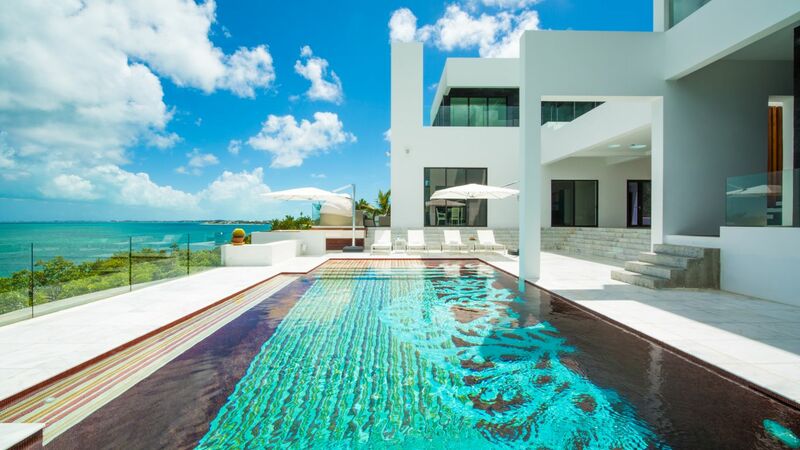 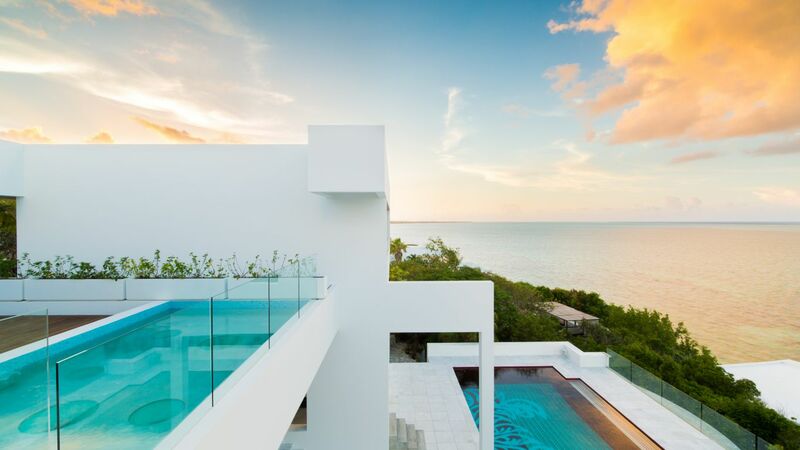 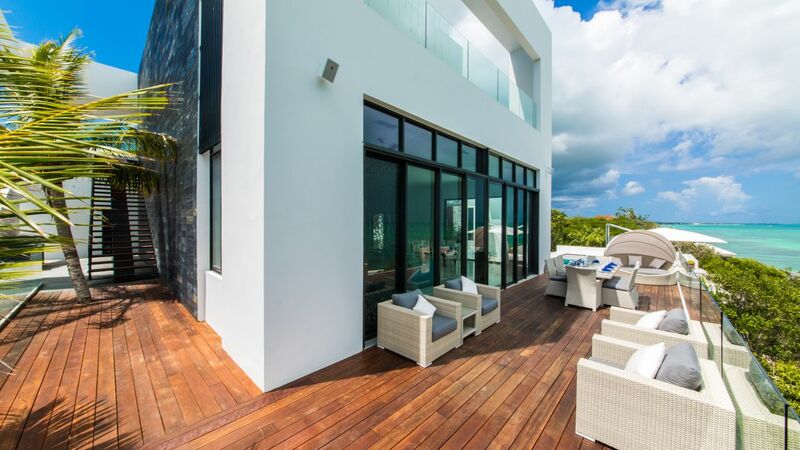 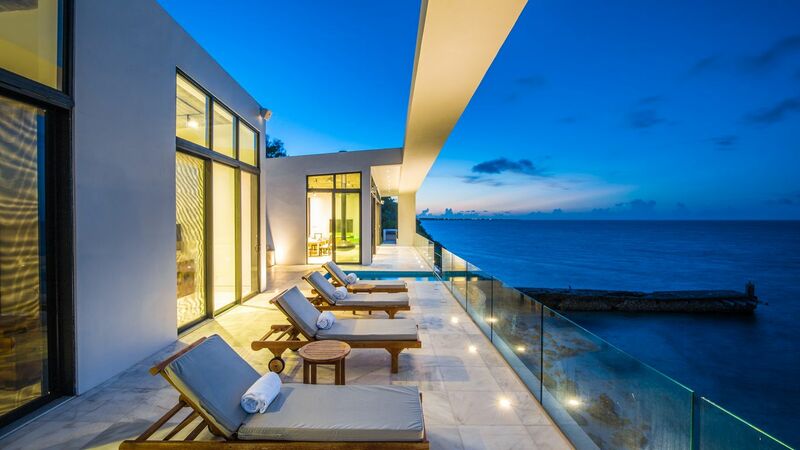 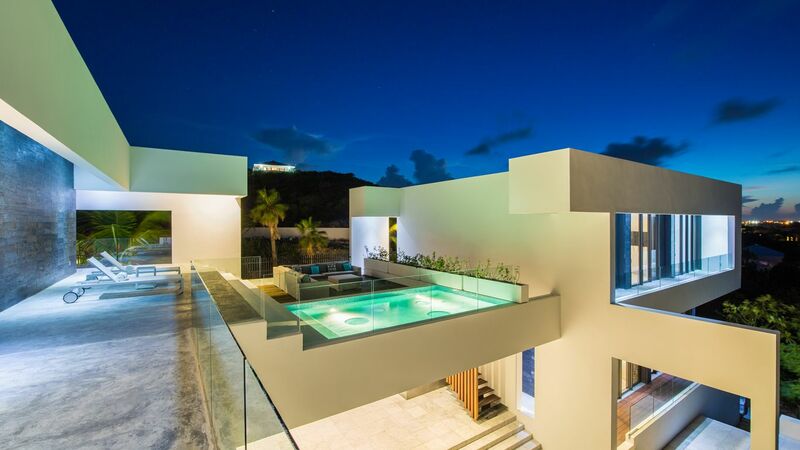 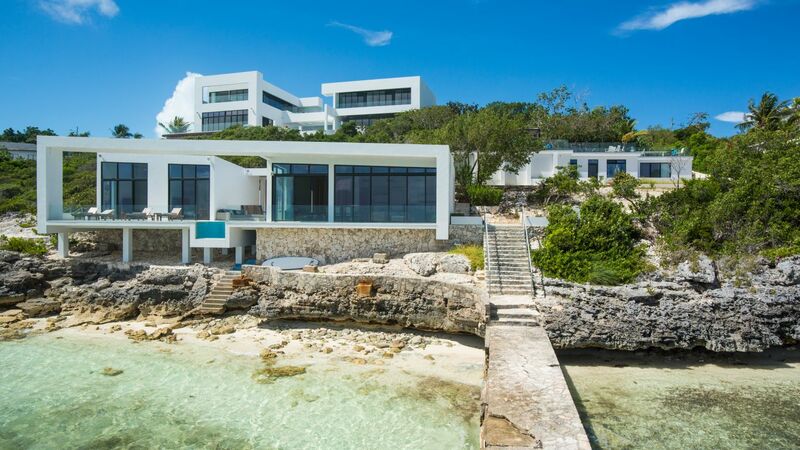 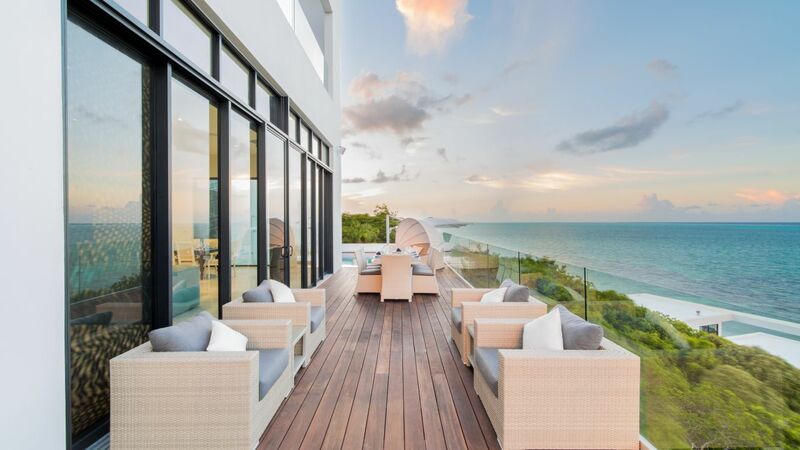 Villa Athena is a lavish contemporary residence that will let you experience true oceanfront luxury. 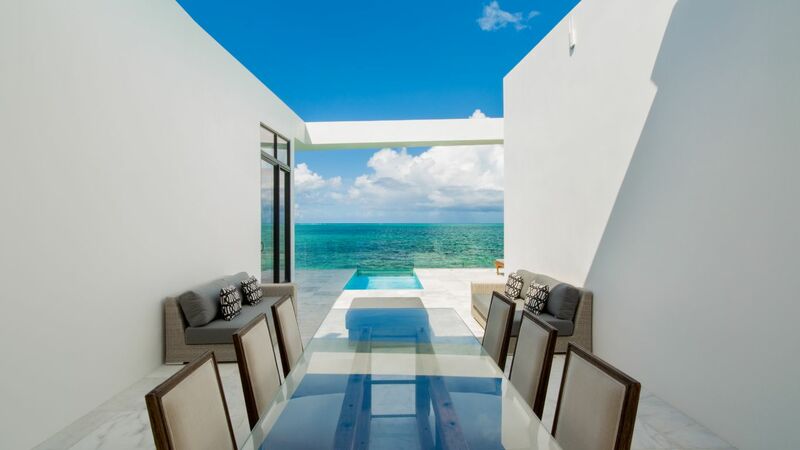 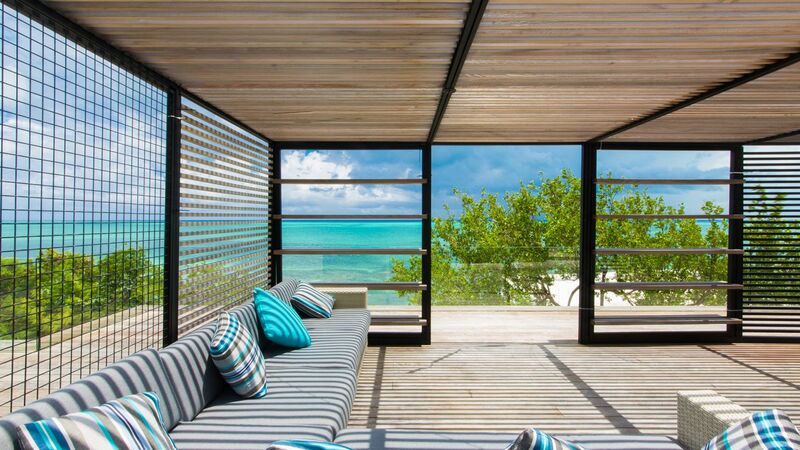 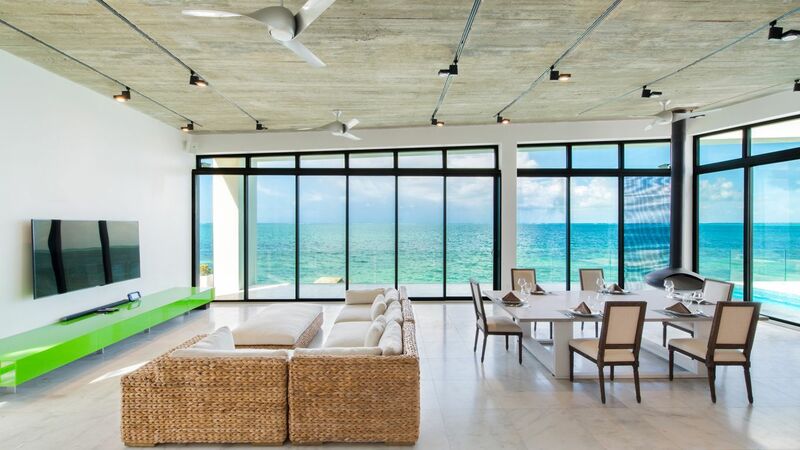 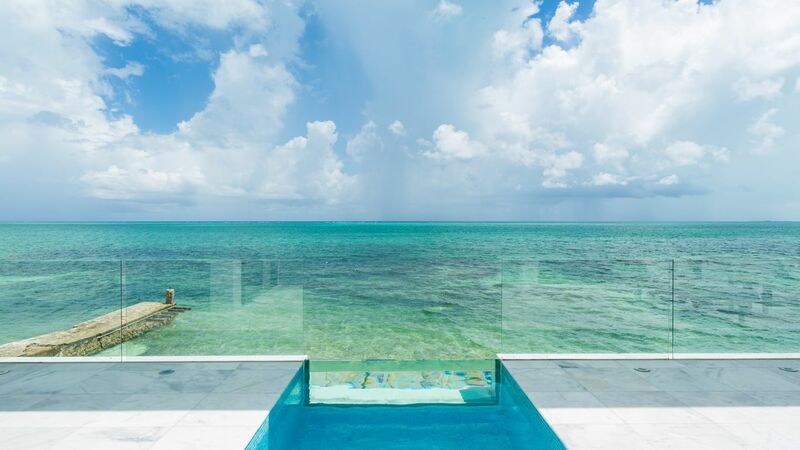 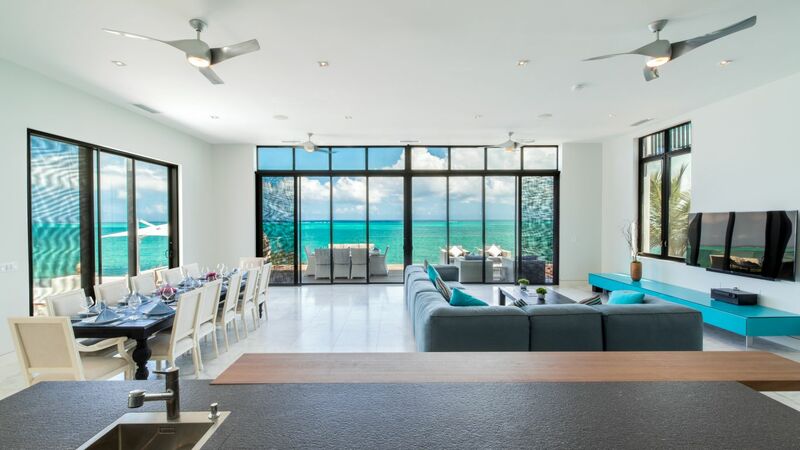 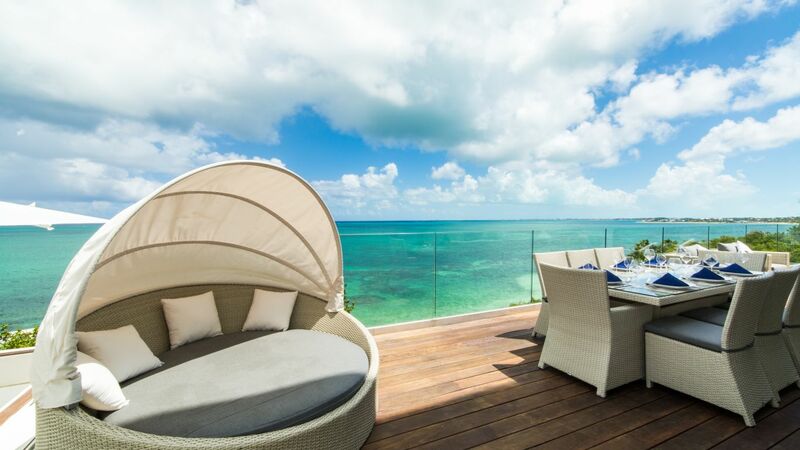 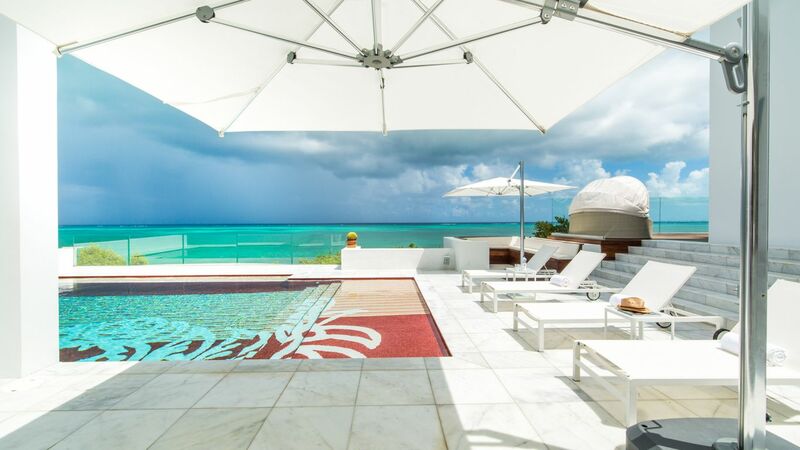 This stunning Turks and Caicos vacation rental is a beachfront estate that overlooks a private stretch of sand near Grace Bay. 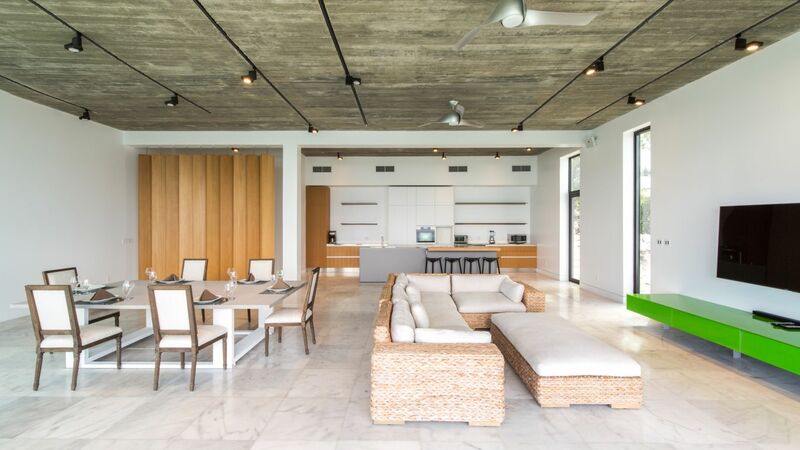 The estate’s open-plan great rooms provide ample space for casual gatherings or festivities. 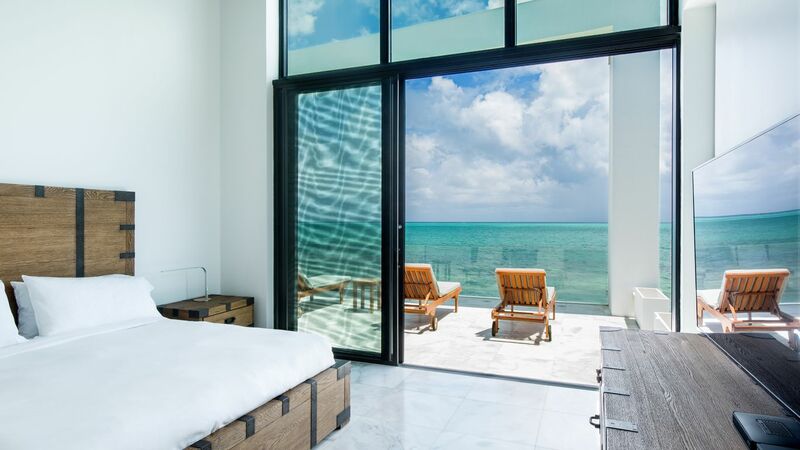 The gallery-like rooms are sleek and stylish, with on-trend metal-edged windows framing the beach views. 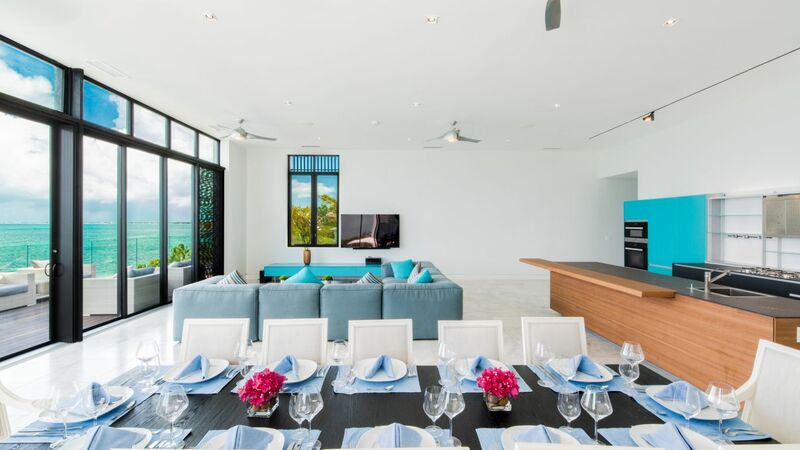 Low-slung sectionals and two dining areas that seat a total of twenty-eight invite guests to mingle. 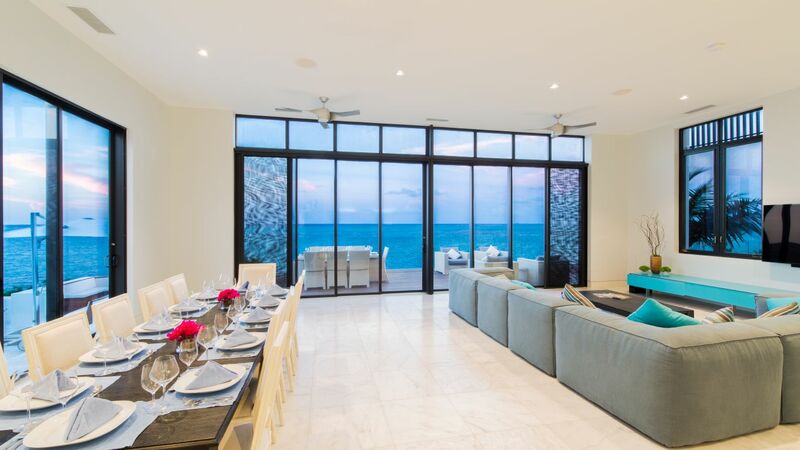 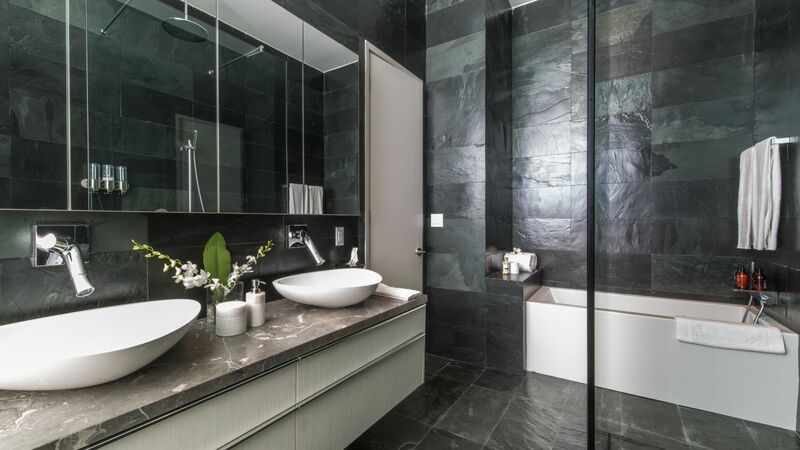 This expansive home has 10 beautiful bedrooms that will surely captivate you and your guests. 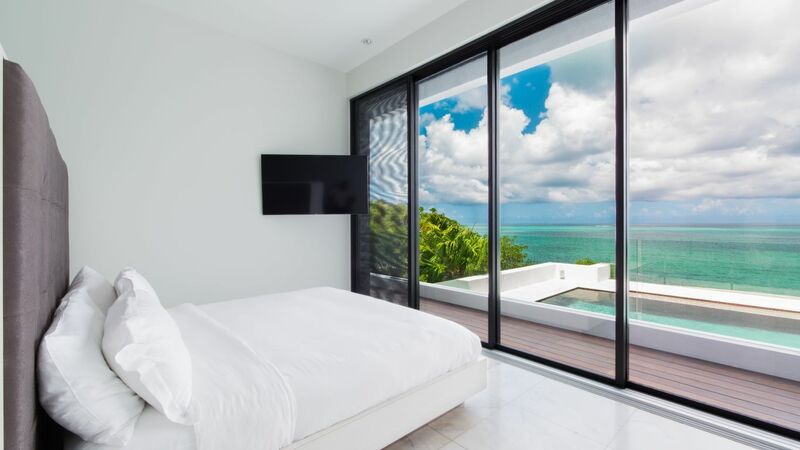 Villa Athena has six bedrooms in its main house, two in the beach house and two in the yoga pavilion, all with en-suite bathrooms and ocean view. 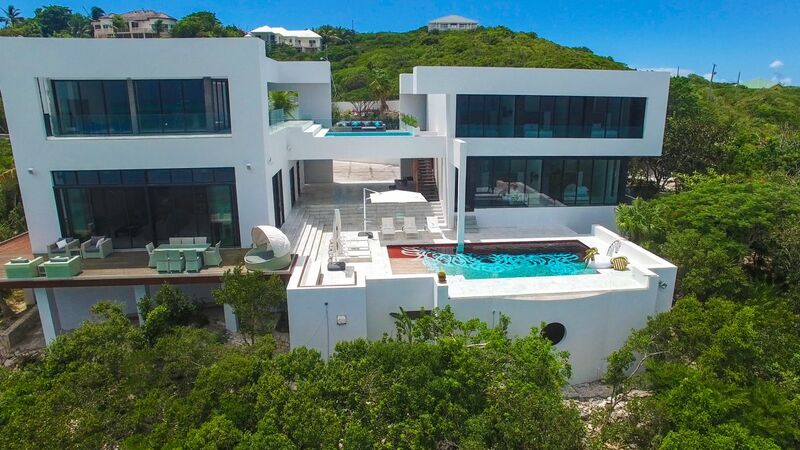 The estate has three pools, al-fresco sitting and dining areas, an open-air kitchen with a barbecue and even an outdoor shisha lounge—all with ocean views. 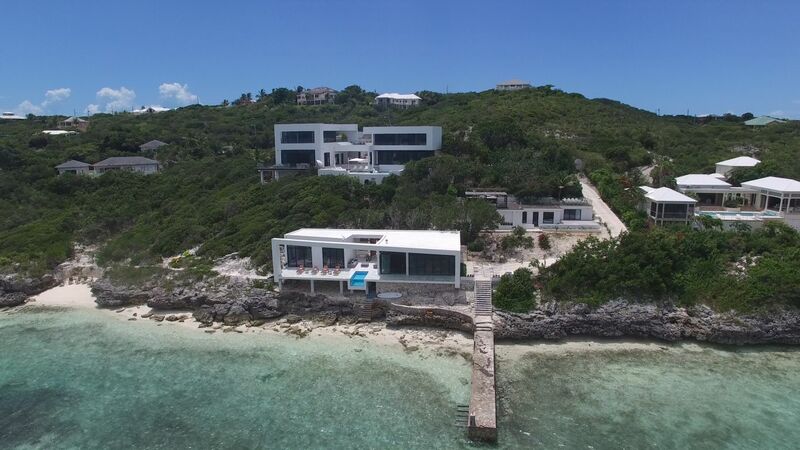 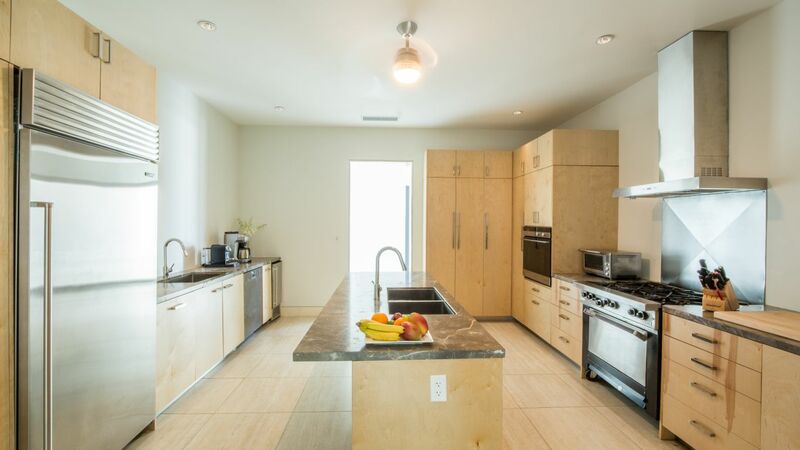 The main house, beach house, and yoga pavilion have an exercise area, games room with ping-pong table and, for easy entertaining, a sound system and wine fridge.